Workplace wellness programs are a sham. They’re a waste of time and money, they don’t improve health outcomes, and they’re a front for shifting costs onto employees. One wintry Thursday morning, I drank my coffee black. I prefer my morning joe with a lot of milk in it, but I didn’t want to mess with my glucose reading. Arriving at work, I headed to a conference room where I met a nurse from my company’s wellness vendor. She weighed me, took my height and blood pressure, and calculated my body-mass index. She pricked one of my fingers and inserted my blood sample into a small machine that measured my blood sugar, LDL cholesterol (the bad one), and HDL cholesterol (the good one). She wrote down each, and I breathed a sigh of relief. I had passed. I wouldn’t have to take a multi-week online health-improvement course to avoid paying an extra $600 on my health insurance next year. If you work for an American corporation, there’s a good chance you’ve undergone a similar routine. According to a 2015 Kaiser Family Foundation survey, 50 percent of large firms (defined as having 200 or more workers) annually offer or require employees to complete what’s known as a biometric screening, and more than half of those companies offer a financial incentive to employees who participate. Some even make participation mandatory for employees who enroll in company-sponsored health insurance. Half of large employers surveyed offer health risk assessments (HRAs), which are questionnaires intended to identify high-risk behaviors. Biometric screenings and HRAs are just two types of workplace wellness programs, a broad category that can also include smoking cessation courses, lifestyle coaching, and weight-loss competitions. The notion that wellness programs save companies money by making their employees healthier is appealing. In fact, the federal government encourages companies to implement wellness programs. 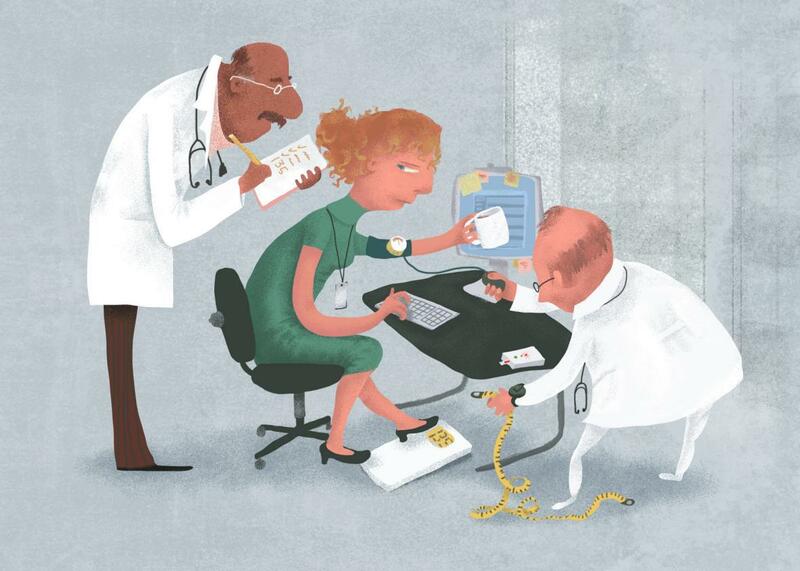 But wellness programs promote medical tests of dubious value, encourage unnecessary doctor visits, and collect sensitive health information despite often extremely lax privacy policies, with little to no evidence that they improve health outcomes. There’s not even much sign that wellness programs help a company’s bottom line—not directly, anyway. 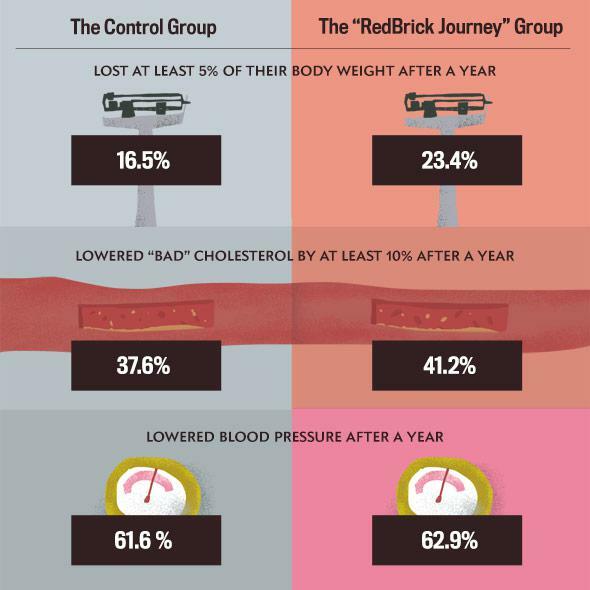 So how did we get to a point where employers consider wellness programs a “need to have,” in the words of Redbrick? The history of wellness programs is inextricable from the history of rising health care costs in America. According to data from the federal government’s National Health Expenditure Account, overall American health care spending almost quintupled between 1980 and 2014, from $634 billion to $3.03 trillion (all in 2014 dollars). 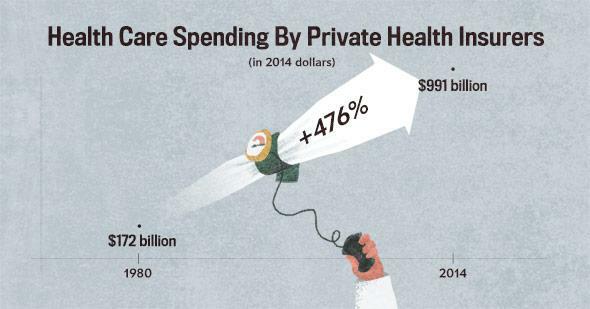 The increase was even more dramatic for health care spending by private health insurers, rising from $172 billion to $991 billion, adjusted for inflation—a 476 percent increase. Since companies are always looking for ways to slow rising health costs, the idea behind wellness programs sounds like a win-win: Educate employees about their health and identify any health problems before they get expensive, and you’ll end up with a healthier, cheaper-to-insure workforce. Both the Americans with Disabilities Act of 1990 and the Health Insurance Portability and Accountability Act of 1997 (HIPAA), which aimed respectively to prevent discrimination on the basis of health status and to protect employee health information, contained exceptions that explicitly permitted corporate wellness programs. Throughout the 1990s, federal regulations kept workplace wellness programs in check. Companies were allowed to offer modest financial incentives, but the rewards could be tied only to participation, not to outcomes. In other words, companies could offer workers cash or a discount on their insurance premiums for completing an HRA or a biometric screening, but they had to give all participants the same reward regardless of their health status. That changed during the George W. Bush administration. In December 2006, Bush’s regulators in the departments of Labor, Treasury, and Health and Human Services—the three agencies that regulate group health plans and enforce HIPAA—finalized a new rule establishing that companies could tie financial rewards to health outcomes. Not only that, they could increase the size of the financial rewards up to 20 percent of the total cost of the health plan. Put another way, this meant that companies could shift up to 20 percent of the total cost of premiums onto unhealthy employees. Business leaders had told administrators that they’d have “a greater opportunity to encourage healthy behaviors through programs of health promotion and disease prevention if they are allowed flexibility in designing such programs,” as Bush’s staff wrote in the rule. In 2009, Safeway CEO Steven A. Burd launched a public relations and political campaign claiming that his company had seen a stunning drop in health care costs after implementing a wellness program. In an opinion piece for the Wall Street Journal, Burd said that Safeway had begun testing employees’ tobacco usage, weight, blood pressure, and cholesterol levels in 2005 and tying financial incentives to their results. Burd called this program “completely voluntary” in the same paragraph that he explained individuals who didn’t pass these tests had to pay $780 more in annual premiums, or $1,560 more for family plans. This kind of doublespeak is par for the course in the world of corporate wellness, where avoiding a financial penalty is often framed as getting a discount. As it turns out, almost none of Burd’s story was true. As the Washington Post’s David Hilzenrath discovered, Safeway implemented its wellness program in 2009, not 2005, and only about 14 percent of its workforce was even eligible to participate in it. Safeway did manage to keep its health care costs down—by raising deductibles in 2006, shifting more of the cost of health care onto employees. Still, the so-called “Safeway Amendment” became law as part of the Affordable Care Act. Since 2010, companies have been able to shift up to 30 percent of the cost of employee-only health care premiums onto employees who fail wellness tests unrelated to tobacco, and up to 50 percent for failures related to tobacco. has a reasonable chance of improving the health of, or preventing disease in, participating individuals and it is not overly burdensome, is not a subterfuge for discriminating based on a health status factor, and is not highly suspect in the method chosen to promote health or prevent disease. Just this May, the Equal Employment Opportunity Commission confirmed that these ACA standards were in compliance with the Genetic Information Discrimination Act and the Americans with Disabilities Act. The “Safeway Amendment” is a remarkable exception to the Affordable Care Act’s ban on discriminating against pre-existing conditions. Thanks to “Obamacare,” people with high blood pressure, cholesterol, blood sugar, or body-mass index—or any other factor that a wellness vendor screens for—can be legally charged thousands of dollars more in premiums than people without those conditions. Technically, wellness programs must provide a “reasonable alternative standard” for people who don’t pass a screening. But the ACA “doesn’t say what the alternative standard is. It’s totally open-ended,” says Karen Pollitz, a senior fellow at the Kaiser Family Foundation. Lewis et al’s criticisms of the industry start with two of the most common tools in the wellness program’s toolbox: the health risk assessment and the biometric screening. HRAs typically offer advice that any moderately educated adult has already heard hundreds of times: Eat lots of fruits and vegetables. Exercise. Don’t smoke. Get enough sleep. It seems highly unlikely that an employee with unhealthy habits would suddenly decide to adopt healthy ones after completing an HRA. As Khanna’s experience shows, BMI is a crude tool—it can’t necessarily tell the difference between someone who’s ripped and someone who’s chubby; it also can’t tell the difference between someone who’s chubby and someone who’s pregnant. What’s more, a 2013 meta-analysis of data from nearly 3 million people found that a BMI in the overweight category was associated with lower mortality than a BMI in the “normal” range; only morbid obesity was associated with higher mortality. * In short, wellness programs are using a rough measurement without much predictive value as a means of distinguishing healthy employees from unhealthy employees. The other measurements taken in a typical biometric screening are a little better. Blood pressure tests are very useful for detecting hypertension, but blood pressure isn’t consistent from one moment to the next. As for cholesterol tests, the United States Preventive Services Task Force (USPSTF) recommends that otherwise healthy adults get screened for lipid disorders every five years unless they have other factors that put them at risk for heart disease, and recommends glucose screenings only for people over the age of 40 who are overweight or obese. The upshot is that wellness programs often recommend screenings for otherwise healthy people far more often than their doctors would. As Gilbert Welch, a professor at Dartmouth College’s Geisel School of Medicine, has argued in books such as Overdiagnosed and Less Medicine, More Health, screening generally healthy people for diseases isn’t just wasteful; it can be harmful. Sometimes screenings generate false alarms. Sometimes they detect abnormalities that would never have developed into a disease, but trigger a treatment regimen just to be safe—exposing a patient to the side effects of a medication or the risks of unnecessary surgery. Biometric data collection can lead “people to feel more vulnerable, to be terrorized by false alarms, and to be overdiagnosed and overtreated,” Welch writes in Less Medicine, More Health. Moreover, most health conditions simply aren’t wellness-sensitive—i.e., they can’t be prevented via lifestyle interventions. Think about multiple sclerosis, or asthma, or schizophrenia, or Crohn’s disease. These conditions require ongoing treatment, sometimes in the form of expensive medications. 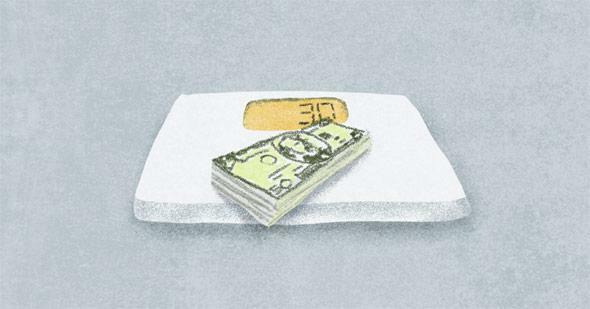 No amount of lowering your blood pressure or losing weight is going to make them less expensive to cover. A government-sponsored 2013 analysis of large employers’ medical and wellness data by the nonprofit RAND Corporation was unable to detect a statistically significant reduction in health care costs as a result of wellness program implementation. RAND also challenged the notion that financial incentives produce thinner employees: according to their analysis, $10 in incentives is associated with 0.03 pounds of weight loss. At that rate, a company would need to spend $10,000 to get an overweight employee to lose 30 pounds. So what are employers actually after when they implement wellness programs tied to large financial incentives? Cost-shifting. Under the ACA, wellness programs are a legal way to shift a significant portion of the cost of premiums onto employees deemed unhealthy. Wellness programs don’t save money by preventing expensive medical claims—and in fact, they might even increase claims costs due to encouraging unnecessary doctors’ visits. But wellness programs can save money if enough employees fail them or opt out. To make their employees healthier, it’s clear, employers need to totally redefine what a wellness program is. A wellness program that’s actually about wellness would be entirely voluntary, not financially coercive. It wouldn’t collect any personal health information from employees. It wouldn’t weigh people or take their blood samples. It would be truly a benefit, not a cost-saving measure. It might reimburse employees for their gym or yoga studio memberships. It might subsidize a community-supported agriculture membership. But if employers start adopting any of these benefits en masse, they might have to call them something else. The term wellness program might be beyond redemption by this point.